For over 30 years, the Paradise Catering Hall has been hosting Brooklyn's weddings, it's sweet sixteens, it's proms, and has been the backdrop for thousands of peoples most fondest memories of get togethers past and future occasions yet to come. 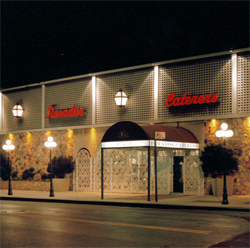 For generations the Paradise Catering Hall has been a neighborhood landmark and is known for it's scenic atrium and for being one of the largest ballrooms in all of Brooklyn. 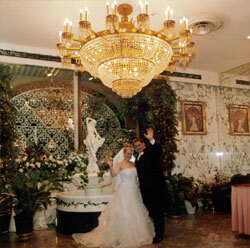 Visitors routinely remark on the enormous elegant chandelier in the banquet room which overlooks nearly the entire floor. Paradise just keeps getting better and better, and choosing the venue for your special occasions gets easier and easier, thanks to the Paradise Catering Hall - a premiere Brooklyn Banquet Hall. Celebrating your special moments here means having the total attention and expertise of the staff focused exclusively on your affair. But more than this, now is a wondrous time to discover or re-discover this exceptional catering hall. After a stunning re-modeling of their grand ballroom, management recently spared no expense when they completely re-did the facility's grand lobby as well as the luxuriously appointed bridal suite, now done up with marble and granite accents for a look of timeless elegance.